Tucked away in the streets of Bhowanipore is Aorang Studio. Learn everything you can about ceramic or buy a sculpture for someone at this earthy and rustic space. Ceramic Classes, Yoga Workshops, Ceramic Decor. Low rise tables with jute chairs and ceramic sculptures everywhere, Aorang Studio will awaken the artist in you. Falguni Bhatt, a trained artist in sculpture and ceramic sculpture, opened this studio as her own creative space. The cream-colored walls and huge windows overlooking her garden give it a rustic feel. An unconventional visual artist, Falguni Bhatt takes classes, and makes ceramic sculptures on commission. Full and basic sculpting courses, and art workshops are a regular thing here! This space is not only used for sculpting purposes, Aorang Studio also has yoga classes and wellness events. The workshops are held almost every 2 months. Falguni wanted to make these accessible to students which is why she charges a very nominal fee. A day workshop would cost you about INR 900. A 2-3 day workshop will cost INR 1,800 (prices change according to the course and is inclusive of all materials). 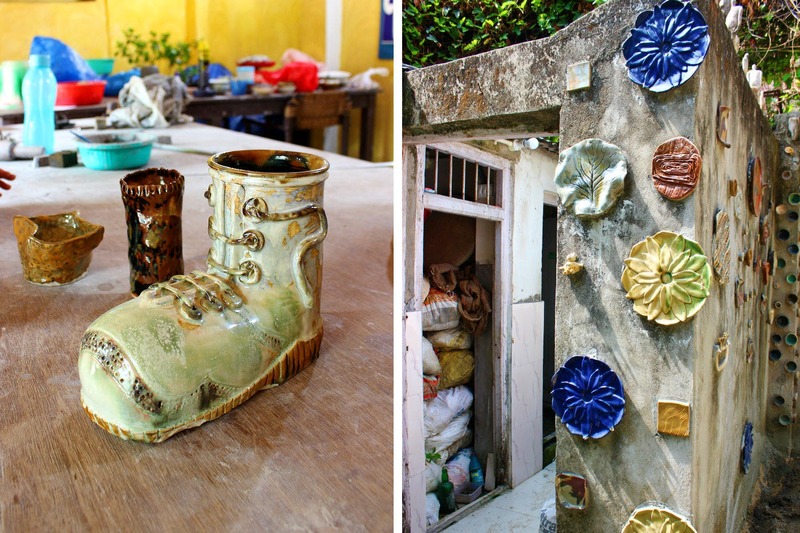 From handbuilding and wheel work techniques to glazing and firing, if ceramic sculptures interest you, this is the place to be! You can also buy ceramics here for your home. From table lamps to show pieces to cutlery, they have everything. Aorang also showcases their student's masterpieces. And they will be very soon coming up with a creative workspace in the studio itself.